Well all sorted in the damage department. 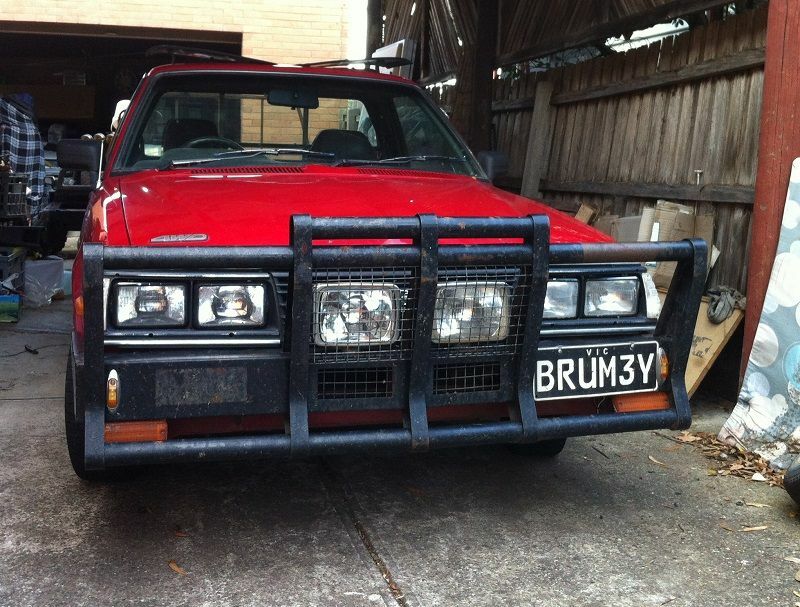 Now I have a brumby with one totally awesome panel and paint that's making the rest of the body look a little average. 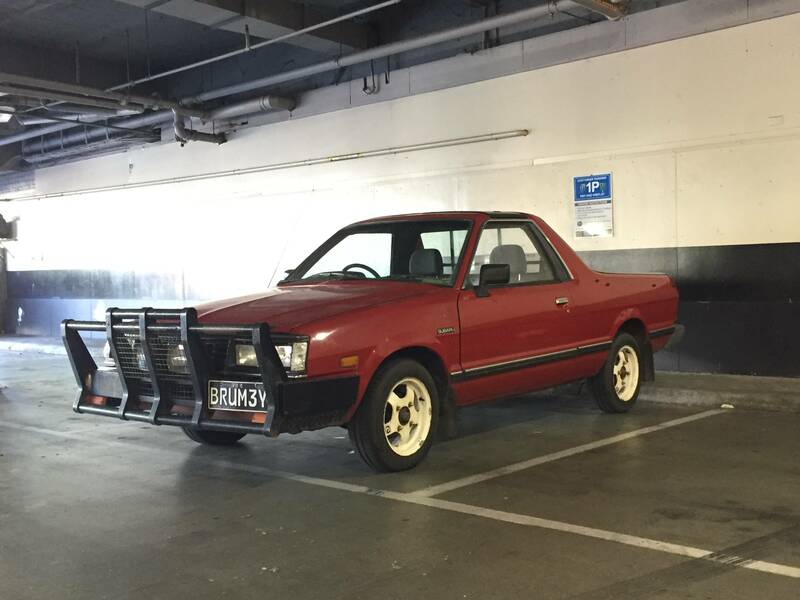 Might have to get into that after sorting some minor rust issues. 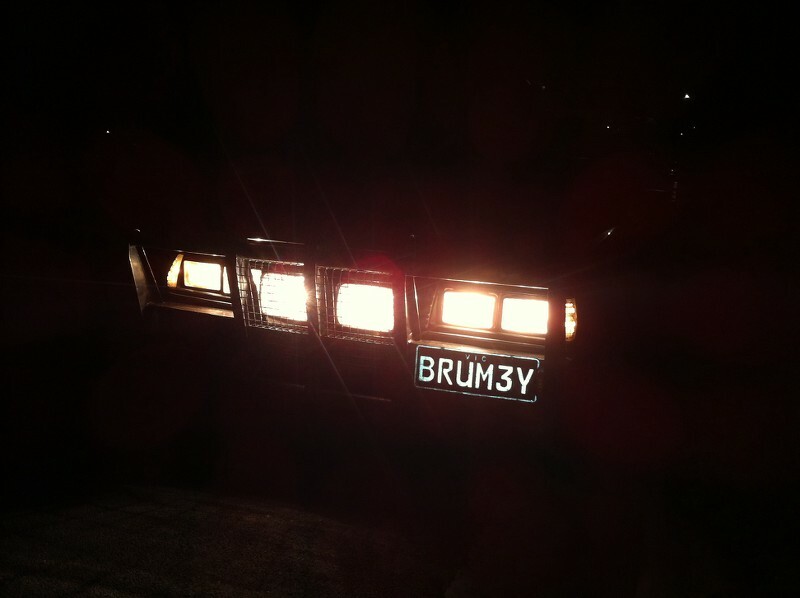 While moving house and doing a lot of night driving in the brumby (we do a lot of night driving anyway, just not so much in the brumby) I found that the lights are all over the shop - not very bright and couldn't adjust them - the plastic tabs that the adjustment screws locate in are flogged out. So I swapped the front light's mounting plate for another set I had and I ensured that I could adjust the lights before installing. Works good. I also added a secondary wiring loom that is triggered by the factory loom but takes the power very directly to the lights via shorter wiring and some relays. So now I have good lights again that I can aim properly. Can't wait to make night into day with these! Ironically I have not done any night driving since fitting these. 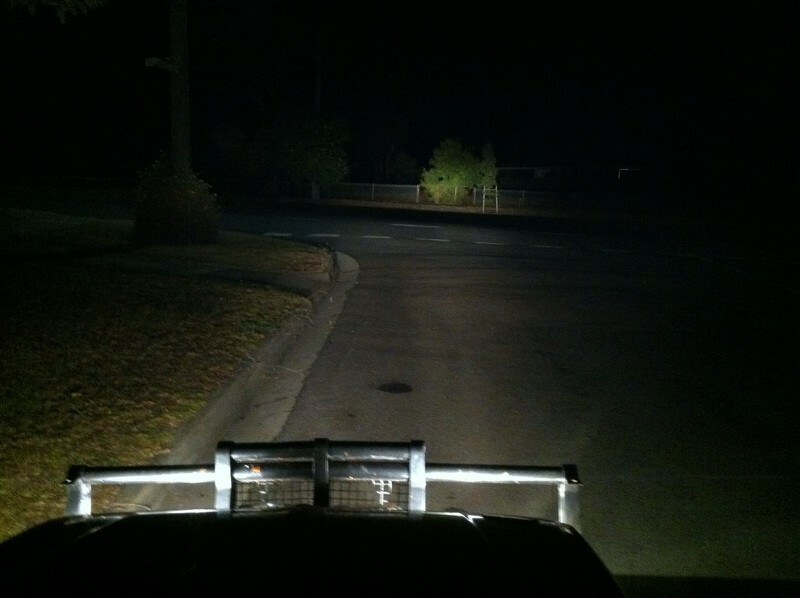 The tiny bit I did down the street on the night I thought would be the first good run with these lights the car died a bit further up the road as I pulled into a servo. I couldn't get it started and it was towed back to the house. Long story short the issue ended up being a dead coil, followed by a fried dizzy module. One of my issues was that I'd replaced the module with a new unit - and promptly fried that as I hadn't replaced the coil at that point. So there goes $75. 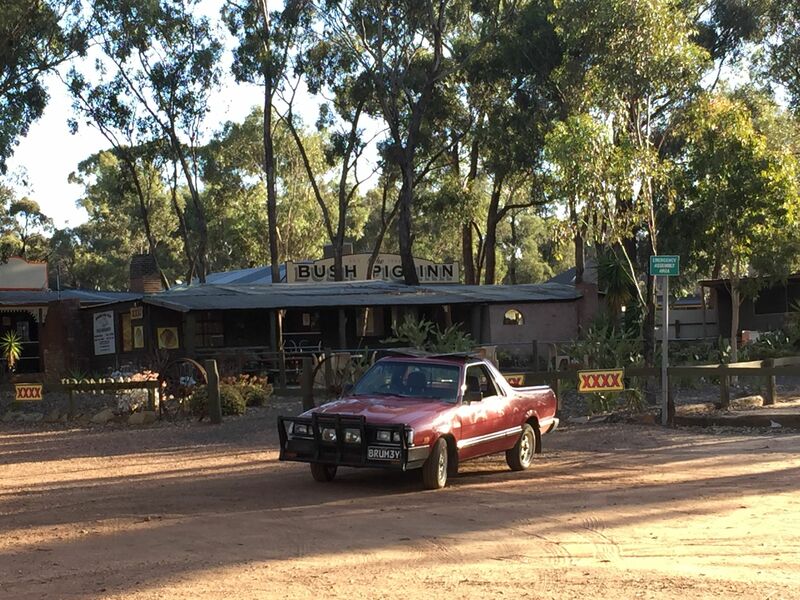 But now I have a running brumby again - still a few issues to sort out: radiator has a leak if waiting for the thermos to kick in, a seam on the end tank opens up and drops coolant. I've triggered the fans to run all the time to avoid this issue and have done so for a number of months now :/ I have a second radiator that I've been trying to get checked out but the local rad guy in benders was on holiday over the xmas/new year period. I haven't had the chance to drop in since. Sounds like I might have a rear bearing on the way out but I'll work that out in time. Love it, great to see it getting put through its paces. Ok, finally an update on the driving lights and secondary headlight wiring to reduce the loss in the old original system. By swapping four plugs I can easily revert back to the original wiring on the side of the road if need be. 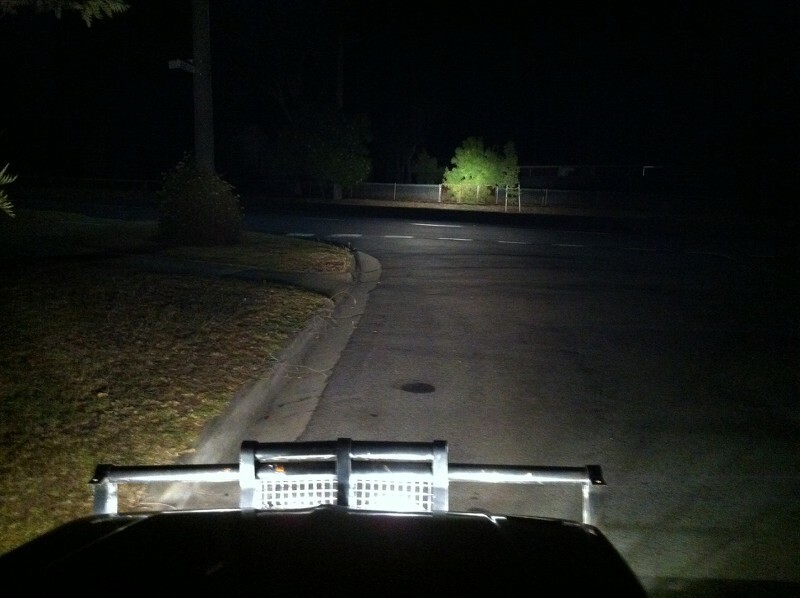 You may have noticed the glare from the rail of the bullbar. I've since added some of that anti slip step tape that's got a sand paper like texture. Before applying it I've sprayed it with matte black spray paint. It works well enough to get a lot from the driving lights, previous to this any gains from the lights was lost on the glare that came back at you. 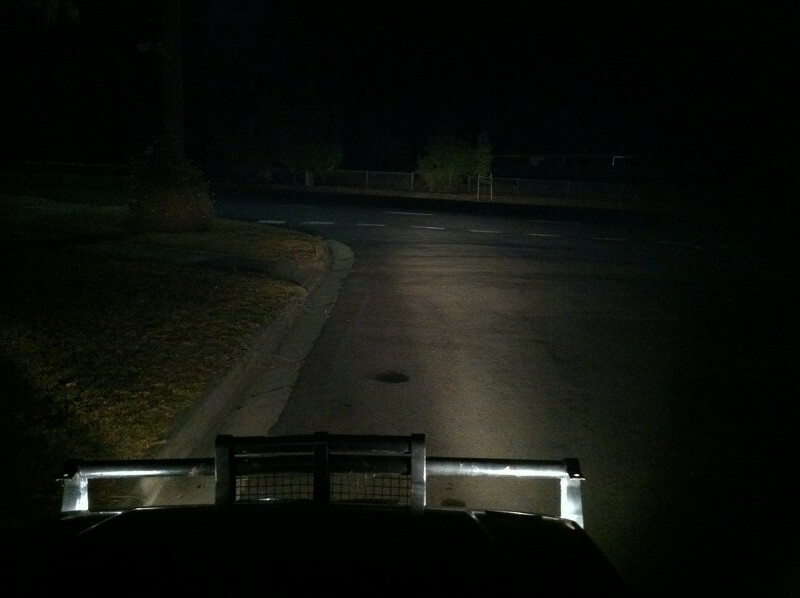 Sorted now and it's awesome to drive with at night! - The hole in the radiator is now fixed. I ended up taking it to a local place that I've been to over a number of years, he's near the old ice skating centre for those that know benders. It's working a treat and I can actually let the fans turn on via the temp switch rather than me having them shorted out all the time. 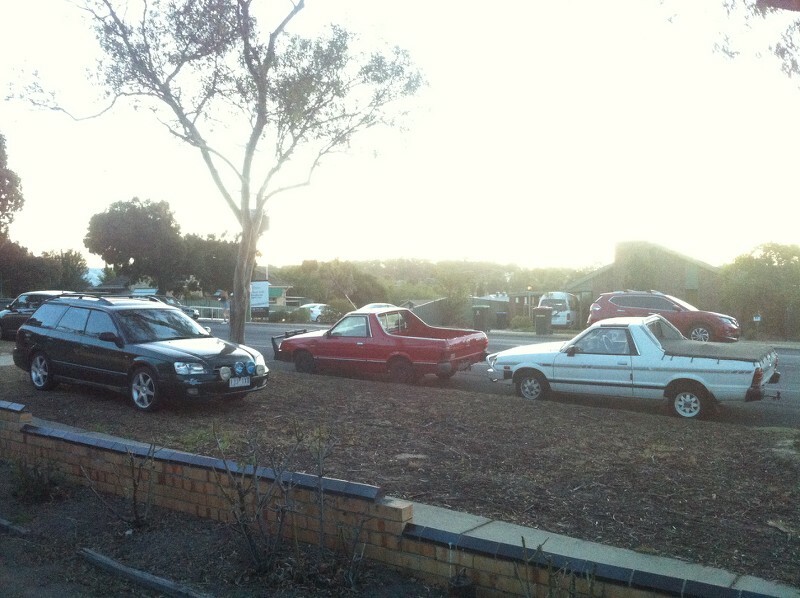 - After a day tripping around on Monday (Bendigo>Ballarat>Lancefield>Bendigo), I'm still experiencing a pinging issue - so can rule out an old engine with high ambient air temps as part of the issue. Timing is pulled back from the stock 8* already. So I've got a new genuine PCV in the hope that it'll sort out the majority of the pinging. 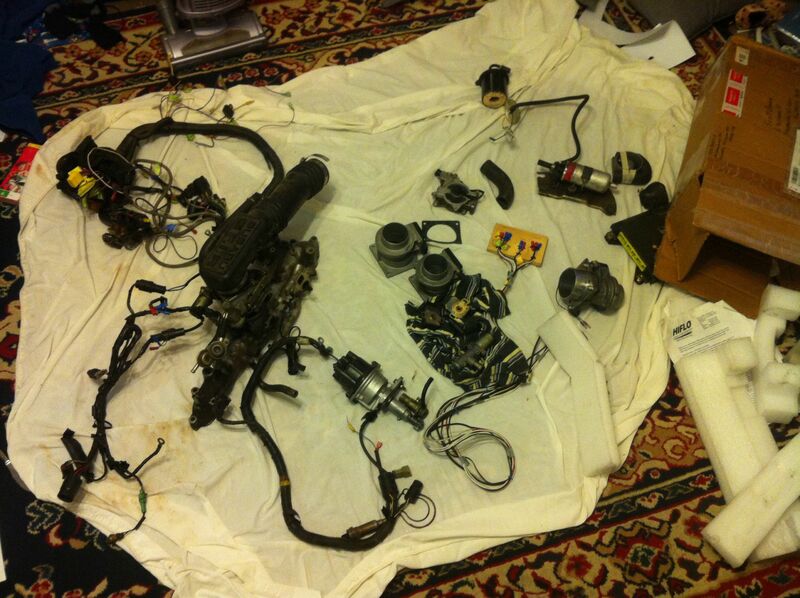 I'll also be checking for any small vacuum leaks including investigating any play in the throttle shaft. I'm hoping to have the SPFI kit sorted soon(ish). On the SPFI front, I need to get the intake manifold together, sort out the fuel pump and lines - ultimately a surge tank would be best but I'll probably run without one for a while and not let the tank get below 1/4. A small amount of wiring needs to be done under the dashboard to hook it all up, then she's apples. Lastly, I need a new windscreen rubber - mine leaks in the rain after a day or so. This is the number 1 killer of these vehicles. The windscreen allows water in either at the top (like mine) or at the bottom corner. Water ends up in the A pillar or on the floor which leads to rust. 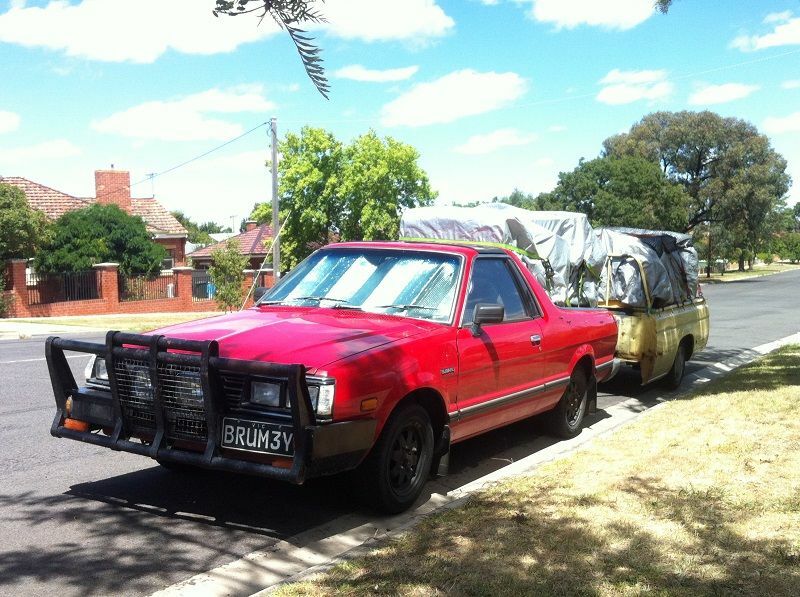 Left long enough and you can kiss your brumby or MY goodbye. Update. Yeah... SPFI... dunno when this will happen. Ive replaced the PCV valve and its massively reduced the pinging! The old unit seemed to seal well and do what it should, and I almost put it back in. But it proved to make a difference, cruising around on that 45*C day Friday I only got light pinging at the point I think the secondaries open up and at hard throttle when under load. No where near as much pinging as I used to get. So Im happy with that. But it still didnt like cruising - when you apply a small squeeze on the throttle to deal with a Hill etc the pinging was there. So Im thinking its a carb issue now. Either play in the throttle shaft or the secondary jet/system is partially blocked. Or ultimately I have low compression. For now Ill keep it as an around town car rather than a country cruiser like it used to get used for. For now my aim is to just keep the wheels rolling and work on small bits at a time. Im really enjoying driving this thing again! 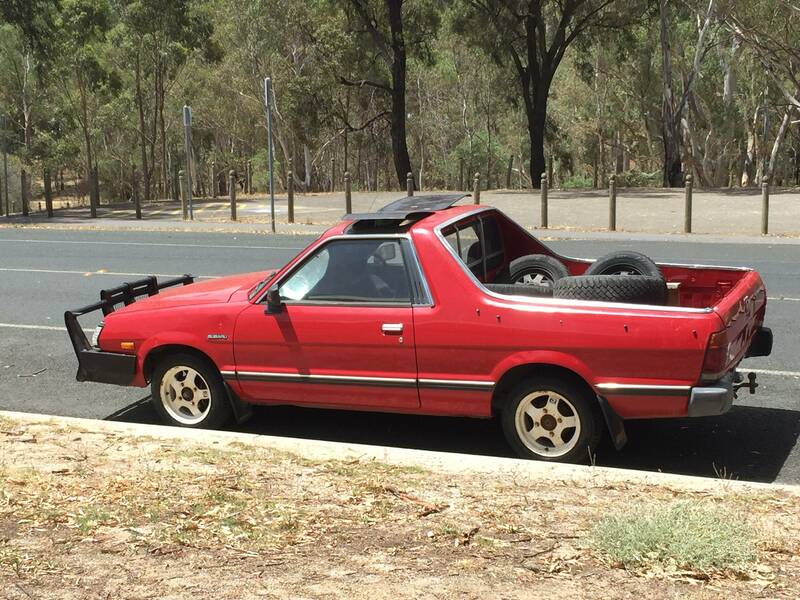 She was parked up for most of summer since Xmas. I’m not sure if you’re drunk or sober - that was a very straight answer from you! 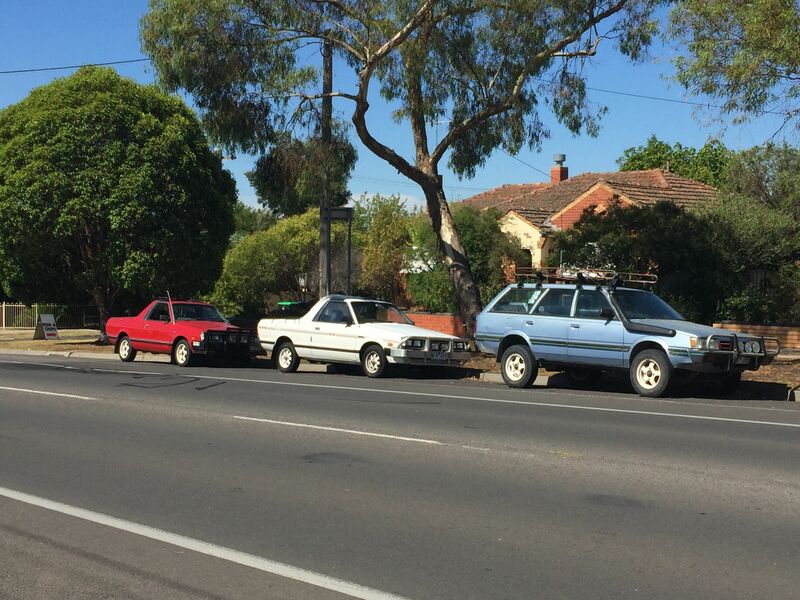 ^ The Subaru old school equivalent of the Italian Job? Other than this Im just chasing an issue with my right hand combination light. On high beam its dim. When I swap power wires around it works fine but opposite to how it should. Getting frustrating but will soon have it sorted I hope!